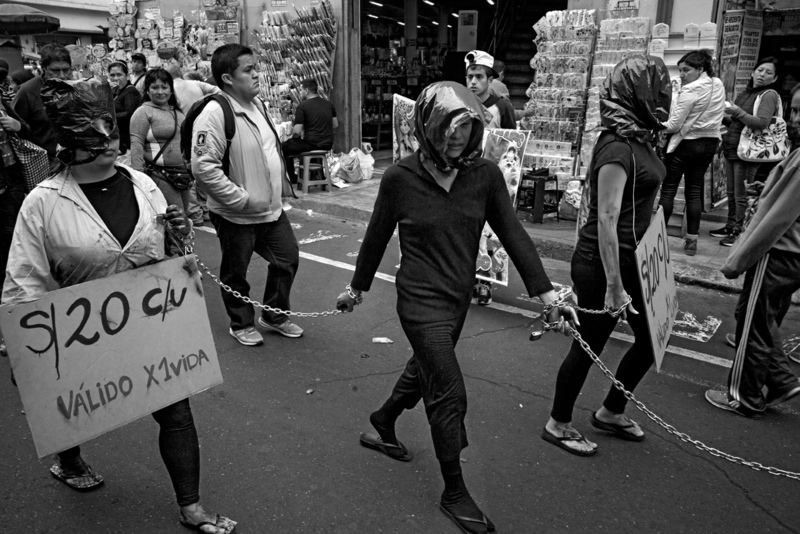 Students from the Faculty of Arts of the University of Lima perform, in the streets of the city center, to denounce the work and wage conditions of workers. All workers get the minimum salary of 220 â¬ per month, which is very low regarding the cost of life in the Peruvian capital. Lima, Peru.